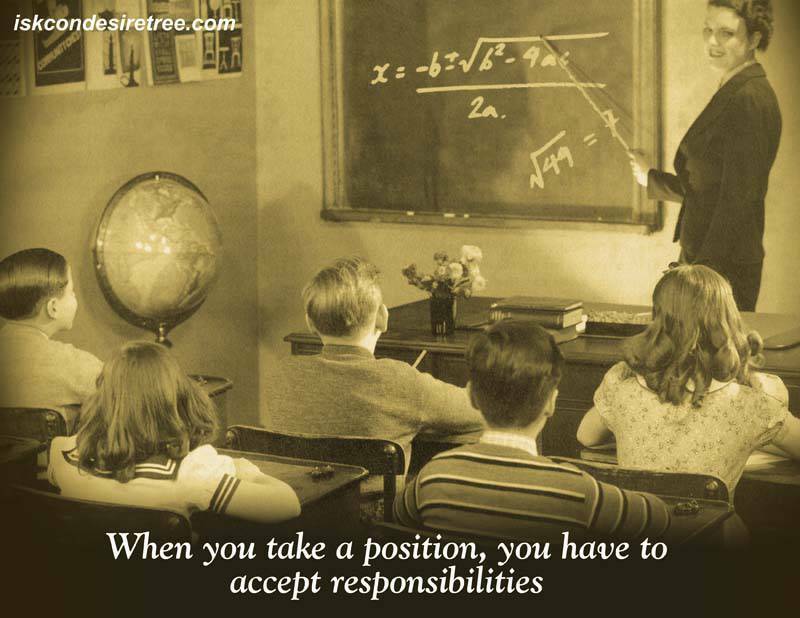 When you take a position, you have to accept responsiblities. 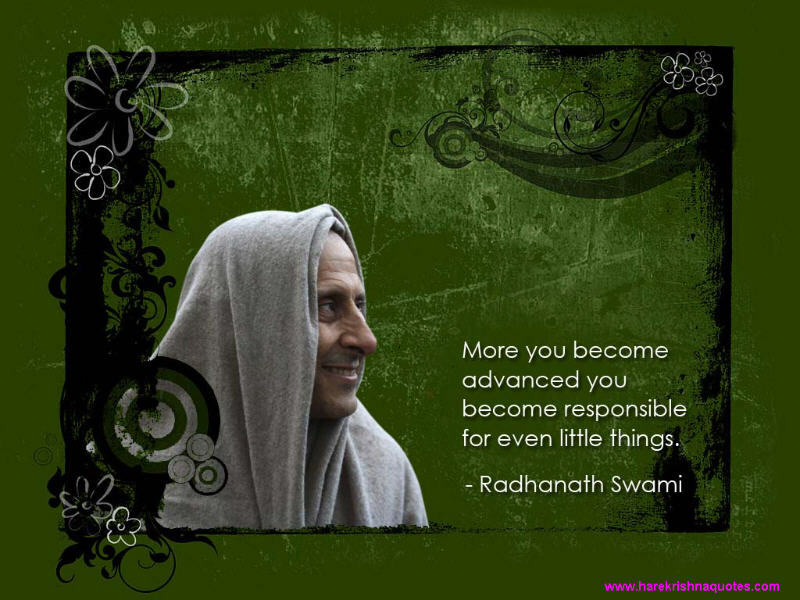 The more you become advanced, the more you become responsible for even little things. Responsibilities does not mean some fancy dress compitition, your mental composure should match with the gravity of the situation around. Responsibility means to perform our service properly, with proper attitude, behavior and words. To the degree you accept responsibility you become Krishna Conscious. When you take responsibility over others you have to be actually Selfless.